A coconut grows on a coconut palm tree which is can be found in areas with a tropical climate. Thus the coconut is a staple in the diet of many people who live in tropical regions, though those living in colder climates may have never tried coconut meat. It can be difficult to remove coconut meat from the shell, so when it is sold in stores it is commonly removed from the shell beforehand. This meat can be eaten plain or shredded and added to a variety of other foods. 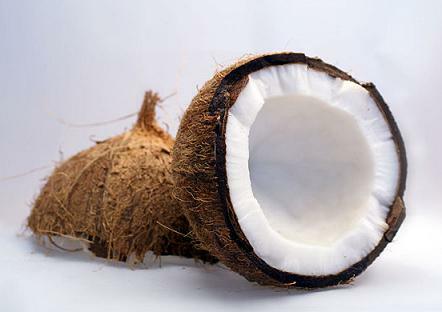 A cup of coconut meat contains 283 calories, 26.8g of which is fat. It also contains 23.8g of saturated fat per cup. However, these are medium chain fatty acids rather than the long chain fatty acids that are commonly found in other foods, which means that the saturated fat in coconut meat will not affect your cholesterol. Coconut meat contains as much as 7.2g of fiber per cup which is over 20 percent of your recommended daily value. It is recommended that you should consume 14g of fiber for every 1000 calories you eat. Consuming foods high in fiber helps keep you feeling full so you are less likely to overeat. This helps add bulk to the stool so that food can move through the digestive tract more easily. A cup of coconut can provide 52 percent of a man’s recommended daily value of manganese, which is 67 percent of the daily value of this trace element for women. Manganese is used by the body to metabolize protein, fat and help the body make use of vitamin E, iron and thiamine. It can also help to ensure that your body has stable levels of blood sugar and assist with immune and nervous system function. A one cup serving of coconut contains 39 percent of your daily recommended copper and 14 percent of your recommended potassium. Copper helps to produce the sense of taste and producing red blood cells. Potassium helps to maintain the proper level of fluids in the cells and maintain sodium levels. Grate the fresh coconut, dividing it into two portions. Add four tablespoons of milk to one portion of the coconut, blending the mixture. Squeeze the milk out of the other half of the coconut and strain it through a thin cloth such as cheesecloth. Add the coconut milk, condensed milk, sweetened milk and vanilla to the blended coconut mixture, adjusting the sweetness with sugar as desired. Add lemon juice if it becomes too sweet. Run the mixture through an ice cream churner according to your machine’s instructions. 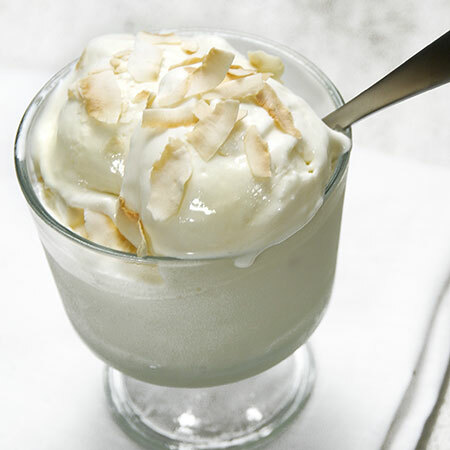 To serve, heat two tablespoons of fresh coconut until it is slightly pink and sprinkle on the ice cream. 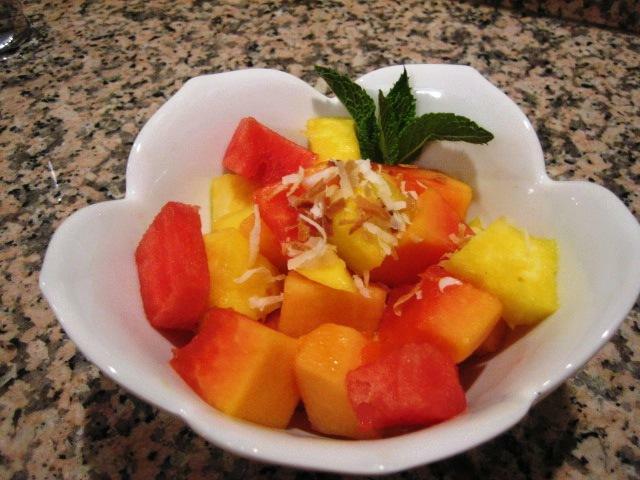 You can also cook the fresh coconut until it is slightly caramelized before topping. 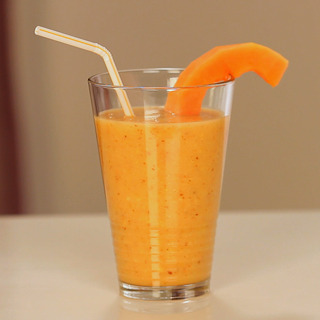 Blend all of these ingredients until they create a smooth mixture and serve immediately. This drink should not be made in a juicer as it could clog the hopper of this appliance. 1Cook the gelatin in the coconut juice according to the package instructions. The cooking time will vary based on how firm you would like the finished gelatin to be. Allow the gelatin to cool completely and then cube the mixture, setting aside these cups for later. Boil the tapioca until it is transparent, then drain. This should take around 20 minutes. Combine the half and half with the sweetened condensed milk, tasting and adjusting to your desired sweetness. Mix in the cubed coconut, gelatin cubes and tapioca prepared earlier. Ensure that all ingredients are well blended and allow this mixture to chill for at least 6 hours before serving. This recipe should be served cold. Combine the sugar, salt, corn flour, white vinegar, tomato sauce and soy sauce to make a sweet and sour sauce. Sauté the onion in the olive oil, adding the sweet and sour sauce and soy sauce after it is finished cooking. Add the fish, coconut meat and desiccated coconut. You may wish to add more soy sauce to balance the sweetness. Allow this mixture to simmer for 15 minutes. Place spoonful of the fish mixture onto the center of a tortilla, tucking in the ends while you roll up the package. 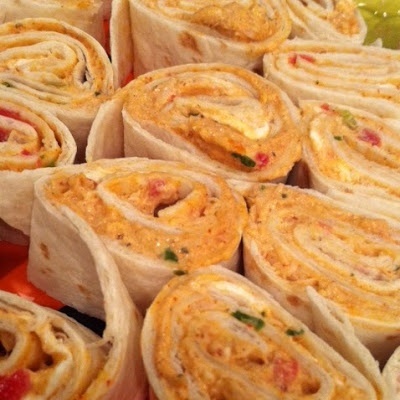 Line up the finished burritos on an oven safe dish and cover with cheese. Place them in a 20 C oven for around 20 minutes or until the burritos are hot. Serve these warm with white rice or fresh salad.